Hyperglycemia or high blood sugar is a hallmark sign of diabetes and pre-diabetes. This develops when there is too much sugar in the blood. 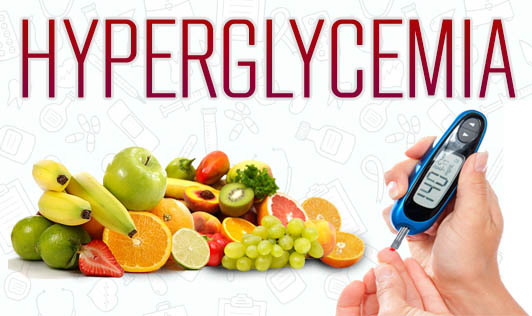 Several factors contribute to Hyperglycemia in diabetics including physical activity choices, illness, food, physical activity, non-diabetes medications or not taking sufficient glucose lowering medications. • Diabetic ketoacidosis that develops when there is too little insulin in the body. • Diabetic Hyperosmolar syndrome that occurs when people produce insulin, but it doesn't work properly. Contact your doctor immediately if you have any signs or symptoms of this condition!